Welcome to the newest installment of A Job Well Done, by Ragan & Massey. This series of deep-dive advice articles, personally written by Ragan & Massey experts, will address everything you need to know to get better production out of your property. Topics will range from steps for Southern pasture establishment to best practices for mesquite control and everything in between. Every entry of the A Job Well Done library is made to be downloaded, printed and shared. So feel free to pass along the link to this article, and tell everyone that Ragan & Massey is where you go to get the job done right. 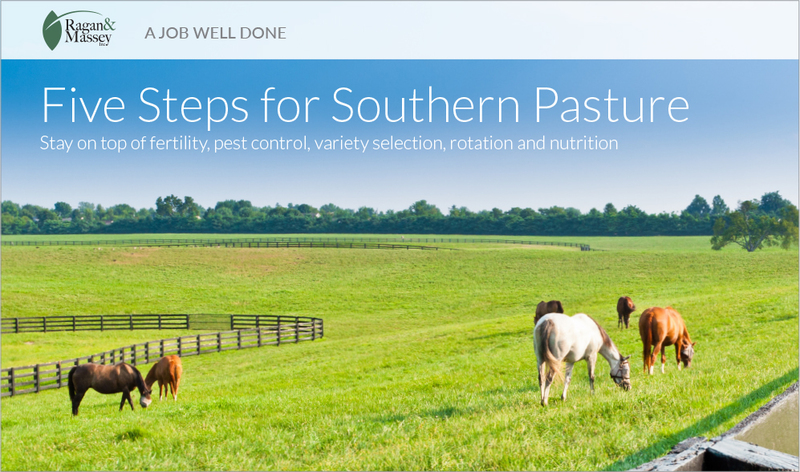 In this installment, “Five Steps for Southern Pasture,” we’ll discuss best practices for establishing a successful pasture in the southern United States, although much of the advice is applicable in any region.